The holidays mean a lot of travel for many families. We used to have to travel by plane to see family for Christmas but have since moved closer to family as we knew this would get expensive and also be hard to travel with kids in tow. At Christmas we spend a lot of time traveling by car from house to house. Luckily our drive is usually less than one hour. Any more and we'd have to take a pit stop as our son gets car sick. Motion sickness is a problem for both and adults and kids alike. According to an Omnibus study in June 2011, 34% of households with children ages between 2-14 have a child with motion sickness. This is 3 times the rate for adult motion sickness (10% is typical). Motion sickness is most prevalent in cars, followed by airplanes and boats. Typical symptoms include nausea, dizziness and vomiting. I get seasick and if I'm a passenger in a car I often get car sick too. I take Dramamine to relieve my symptoms and love the less drowsy formula because there's nothing worse than going on a boat ride and missing out on the fun because I'm tired. Its great to know Dramamine offers a product especially designed for kids. Dramamine® for Kids treats symptoms on the spot, relieving nausea, dizziness and vomiting and prevents motion sickness before it happens. The Dramamine for kids product follows the same ease of use as other children medicine i.e. chewable tablet form and less drowsy formula. It comes in a safety travel case with 8 chewable tablets that have a grape flavor. If you are traveling for the holidays with kids consider packing the Dramamine for kids. For more information on Dramamine® for Kids, Dramamine® Less Drowsy and other Dramamine® products, visit www.dramamine.com. 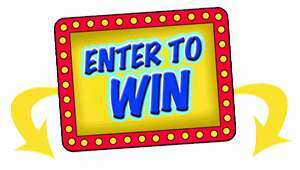 Simply enter to win through the rafflecopter form below. Contest open to US residents only and ends 12/21 at 11:59pm EST. Disclosure: We received the opportunity to receive and provide a prize pack giveaway courtesy of Dramamine in exchange for our honest review. All opinions are of our own, others may vary. We live a blessed life. We have two healthy happy children and are able to pay our bills and save. In this economy we are a rarity. While we still tighten our belts throughout the year I do like to splurge a little at Christmas. Especially for my husband, because he works so hard but he is a tough-to-shop-for husband. It gets harder and harder each Birthday, Fathers Day and Christmas. While the logical answer would be to go for gadgets, my splurge budget doesn't always allow. I like to look for unique gifts for him because it shows I have put a lot of thought into my gift buying. Novica is a site that I often turn to. Novica's Mission page states "Novica is Different". This is certainly true. While looking elsewhere online there are so many stores that offer the same thing. Novica is unique that it offers artists and artisans around the world a global platform to express their true artistic talents and to spur their creativity, so the gifts that you choose from Novica for you and your loved ones will truly set your gift apart from others. Novica now offers a Gift Finder which allows you to narrow your search from their vast inventory. Of course I went straight to "Gifts for Him" option. Then I narrowed it down to the "Gifts by price" option because price can often be a deal breaker for me. My husband loves opening gifts so I opted for the "Gifts under $50" which allows me to buy a few items. 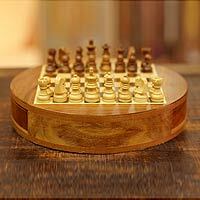 The chess set for $47.95 caught my eye instantly. Since our kids are now getting into board games this chess set would be a great family game that we can teach the kids and also play against each other after the kids have gone to bed. I noted an artisan story card will be included with the purchase. Its great to know that this item is not another "Made in China" product that infuriates me to no end but made by an artisan from Rajasthan. I even learnt something new just from checking this product out. I googled Rajasthan and found out that it is the largest state of the Republic of India by area. It is located in the northwest of India. Thanks to Novica simply enter through the rafflecopter form below for a chance to win a $40 Gift Certificate to Novica. Contest is open to US residents and ends December 21 at 11:59pm EST. Disclosure: We received the opportunity to receive and provide a giftcard for giveaway courtesy of Novica in exchange for our honest review. All opinions are of our own, others may vary.